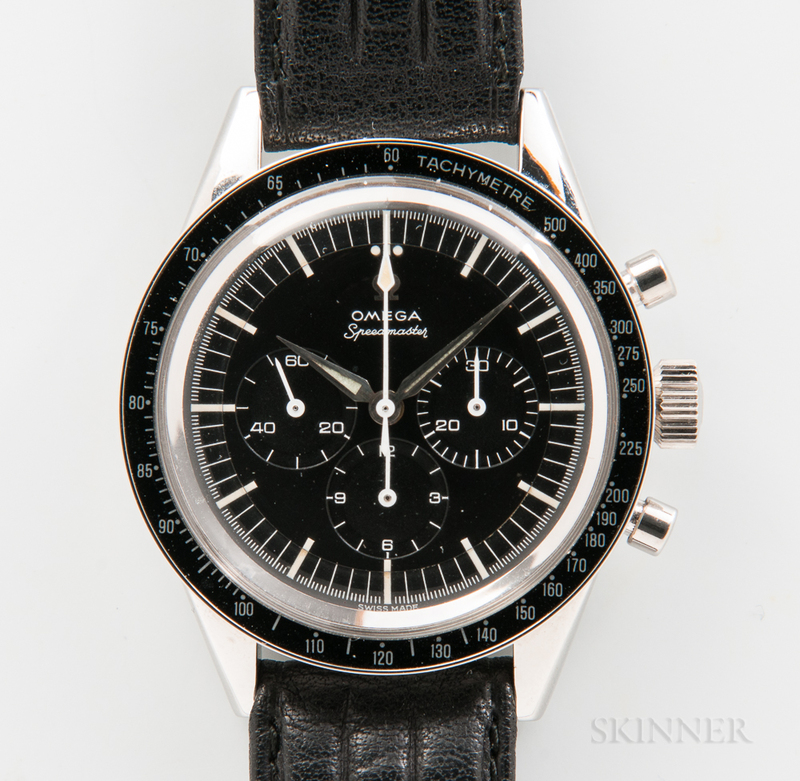 Omega Speedmaster Reference 2998-3, c. 1962, stainless steel case with outer stationary tachymeter, outer minute track for fifth of a second divisions, three subsidiary dials for 30-minute register, 12-hour register, and constant seconds, applied Omega symbol and luminous alpha hands, rose-gold-plated column wheel 17-jewel manual-wind movement with balance bridge marked "321," escape wheel bridge marked "19833254," beryllium monometallic balance wheel and Breguet hairspring, screw-down case with dust cap and marked in part on interior "2998-3/Omega Watch Co.," dia. 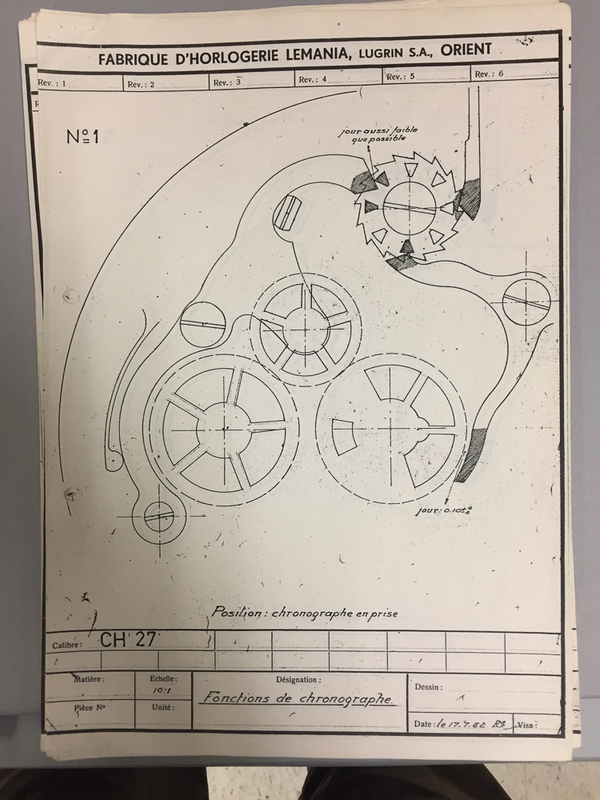 39 mm. 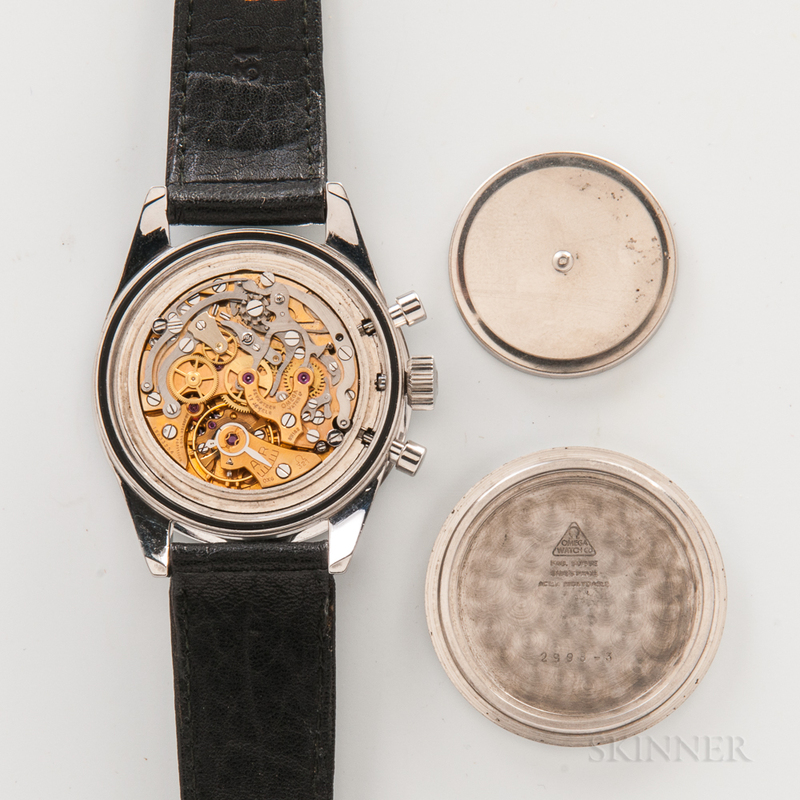 Note: The ebauche for caliber 321 (Lemania CH27) was made by Lemania for Omega. 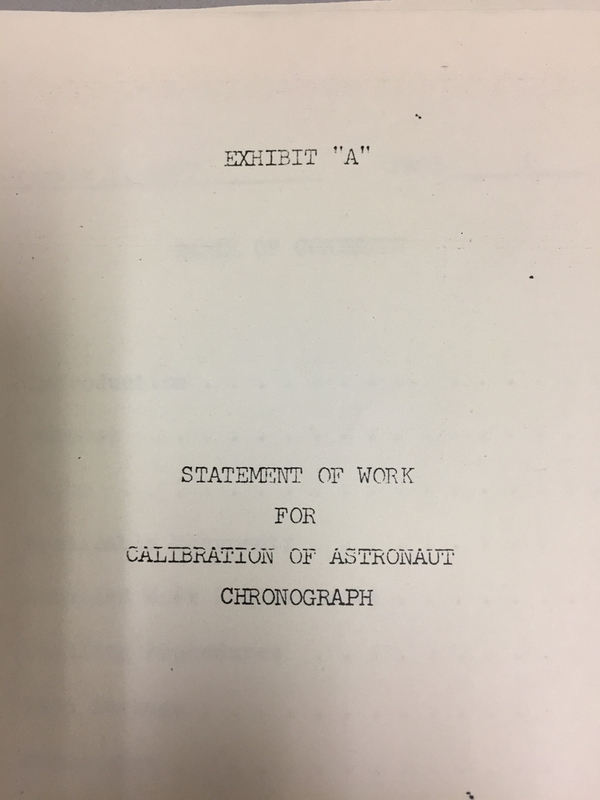 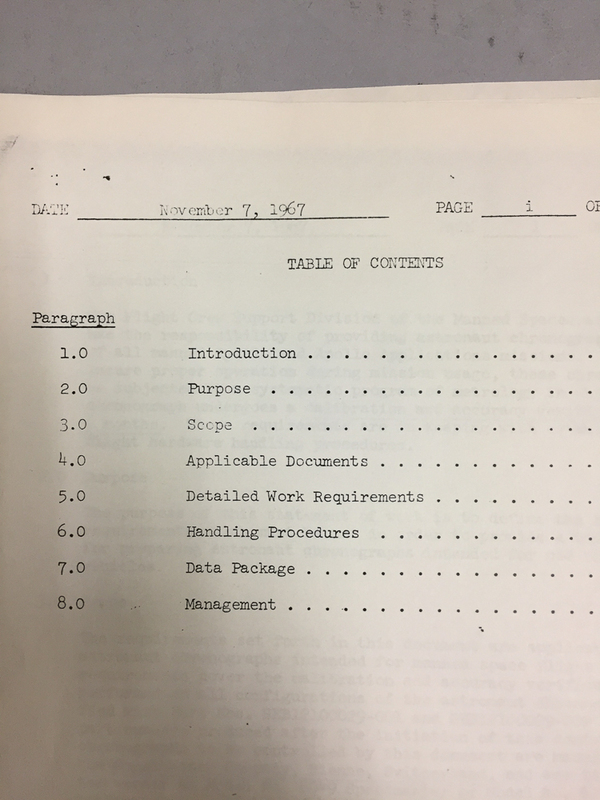 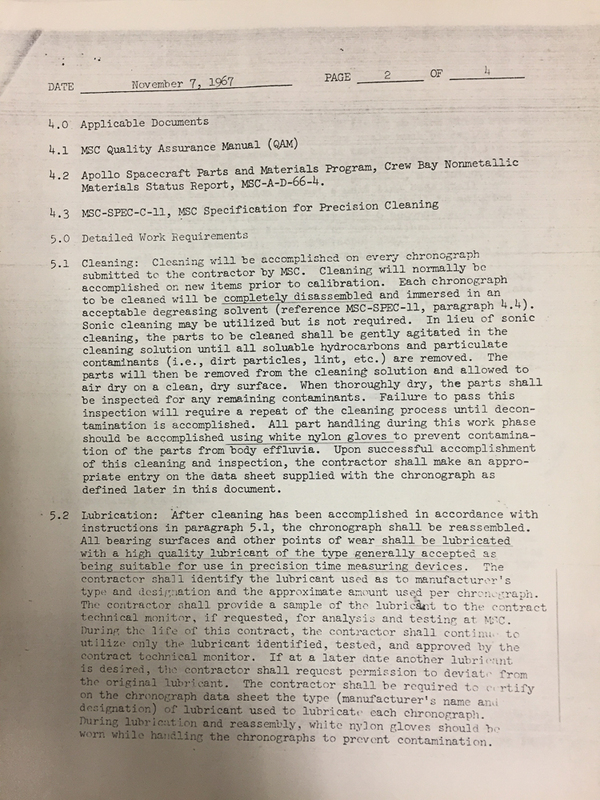 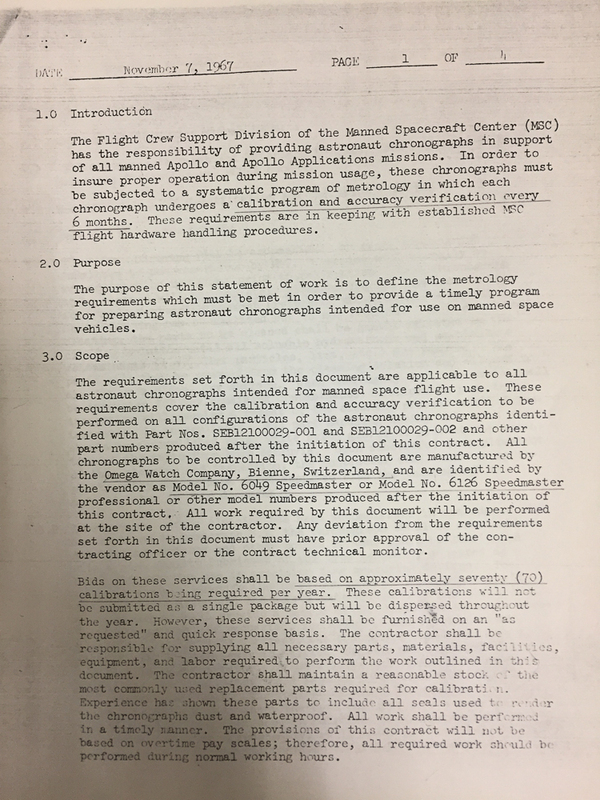 A November 7, 1967 dated eight-page copy of an addendum to a contract that Omega Watch Co. signed pertaining to Omega's responsibilities when servicing NASA watches. 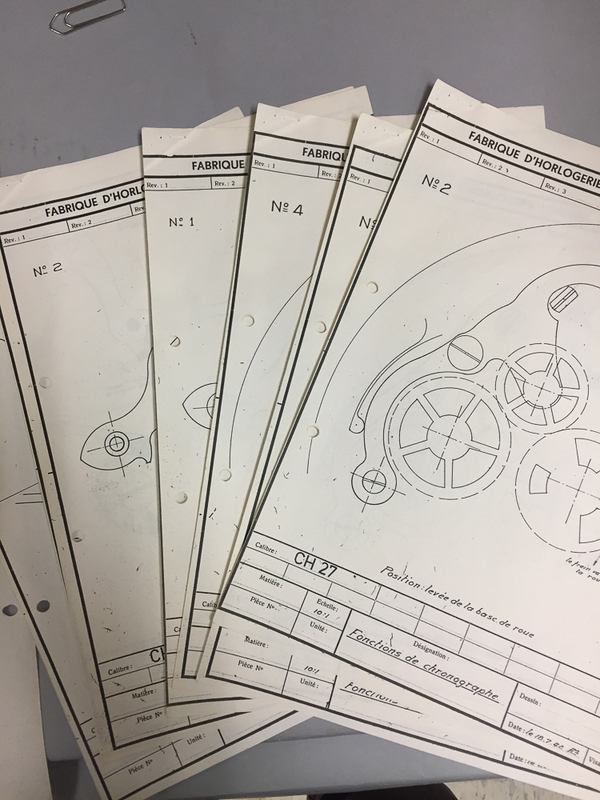 Also included is a nine-page copy of the original drawings made by Jacques Reymond in 1942 of the caliber CH27 for Lemania that was given to the consignor while he was at Lemania for training in 1978.
accompanying the watch is the original tachymeter insert, crystal, crown and screws, springs. 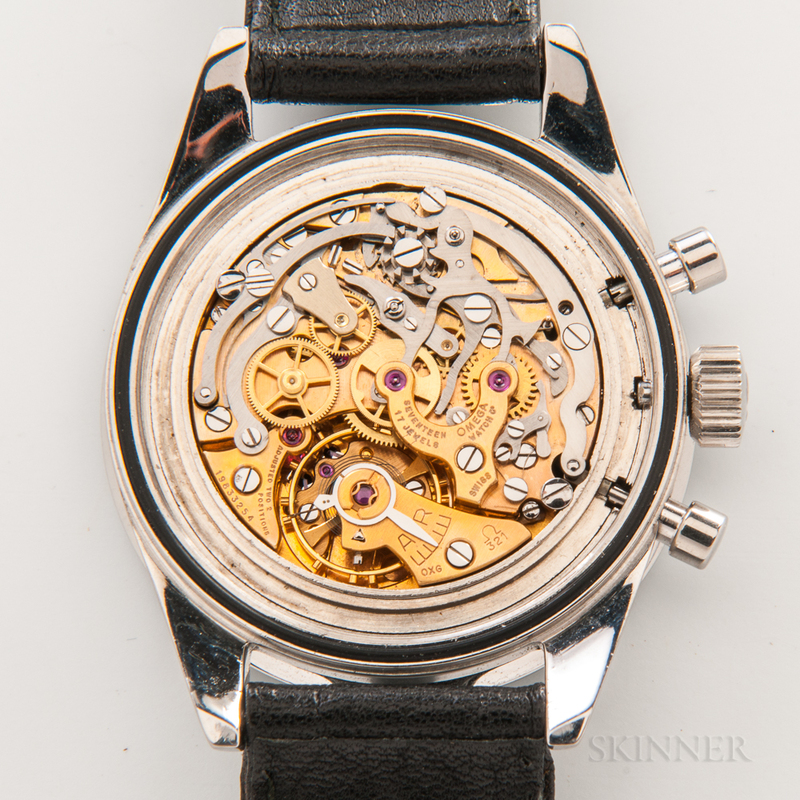 Movement was overhauled and case appears to have been polished, the Tritium from the dial was disintegrating and flaking off and removed. 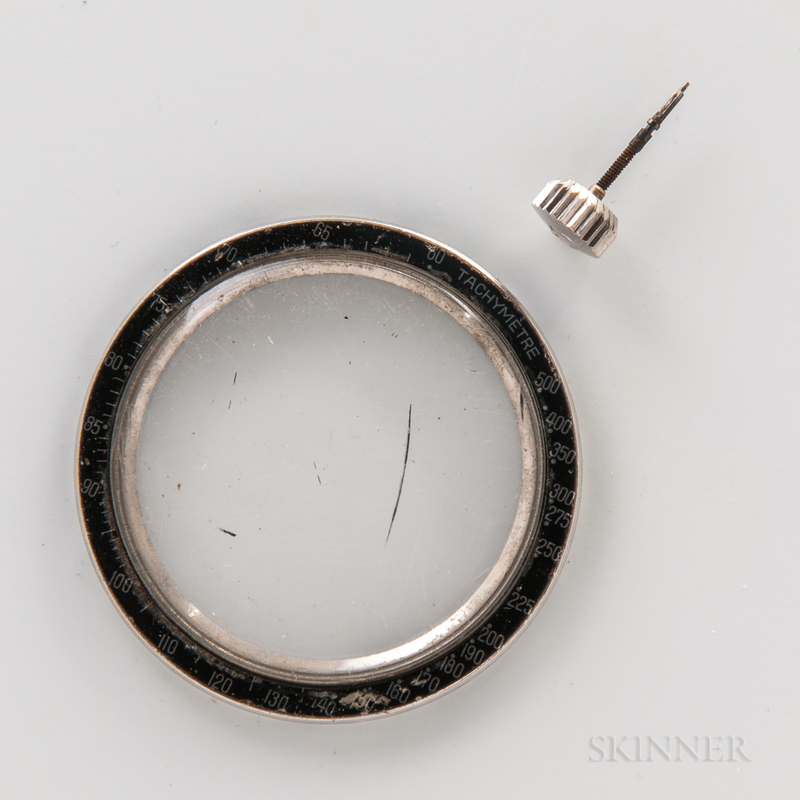 Nothing else was done to the dial. 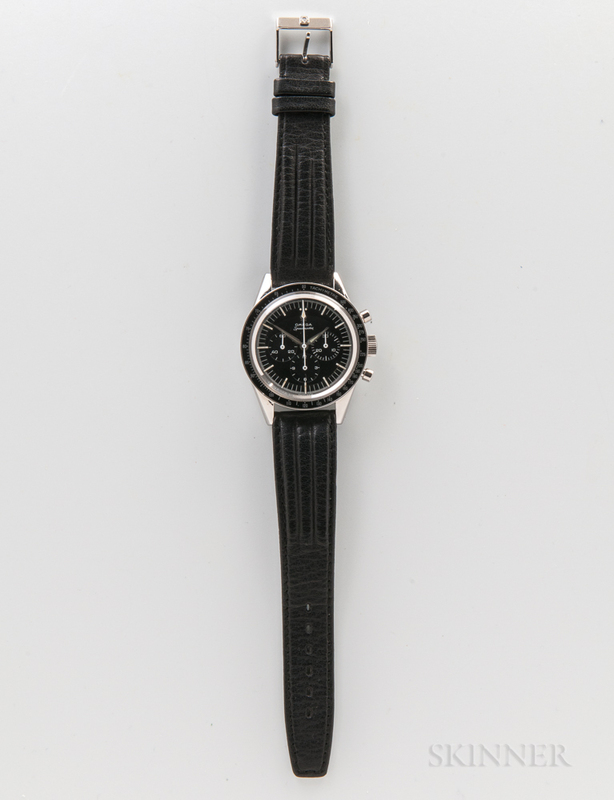 The Tritium from the hour and minute hands was also removed and non-toxic luminescent pigment was applied. 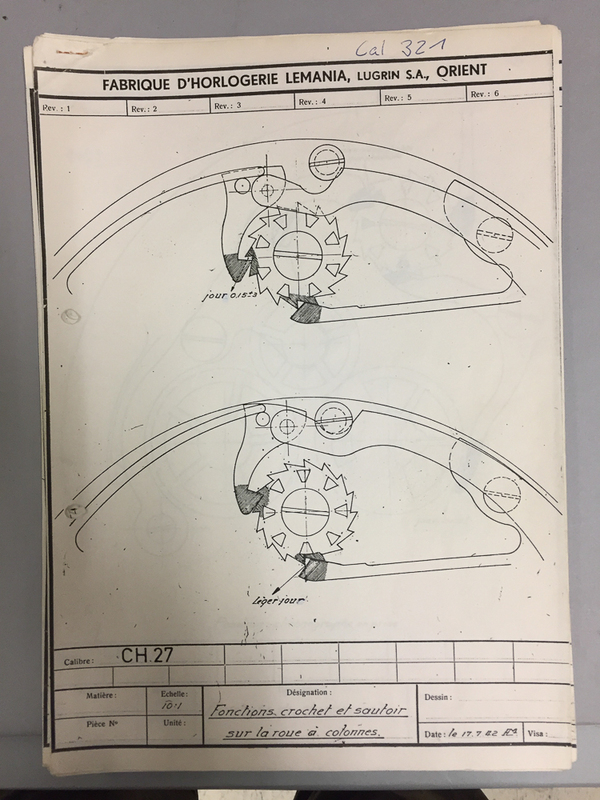 The chronograph second hand is NOS replacement part.